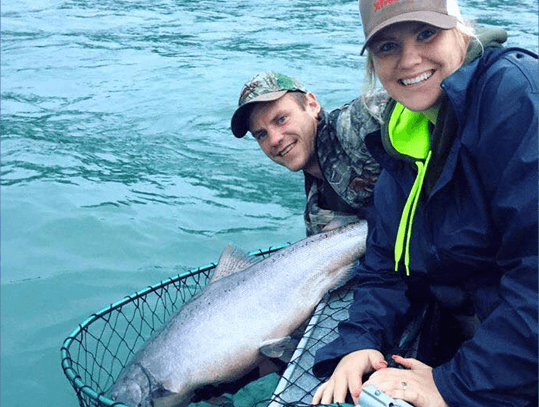 Submit more King Salmon release photos & videos to increase your odds of winning prizes! 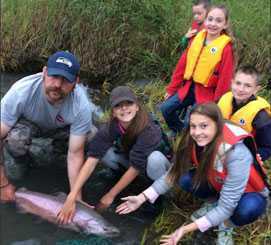 Fish for the Future is a non-allocative, education based, conservation program dedicated to allowing opportunity while minimizing impact. 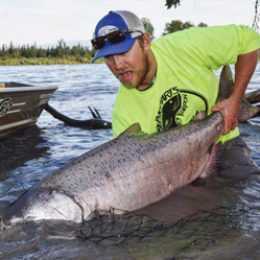 Alaska’s Kenai and Kasilof Rivers are home to some of the largest Chinook (King) salmon on earth. The four and five ocean fish that give these rivers their reputations are unique and extremely limited in number, this demanding an anglers special consideration. importantly, make a difference in the river you love. 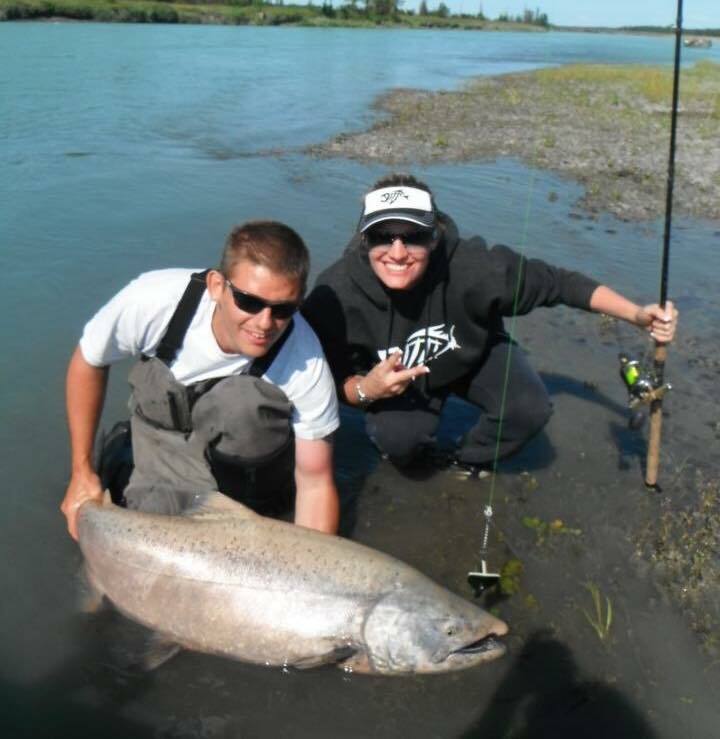 Actions speak louder than words, so make the powerful statement, one fish at a time, that sustaining the great king salmon of the Kenai and Kasilof Rivers is not only important, it’s our obligation as responsible users of the resource. 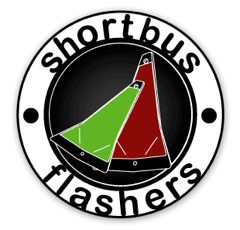 Like our page Fish For The Future in Facebook and invite at least one friend to like the page. 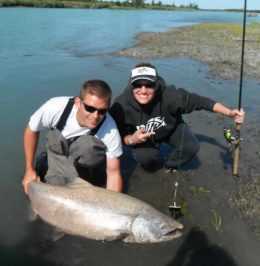 Enter your King Salmon conservation photo or video on the Fish For The Future Facebook page. Facebook entrants will need to include the angler’s name, the length of the fish, the date and the river where the fish was caught/released in the Facebook photo description. 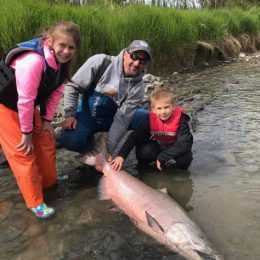 Go to the Fish for the Future Facebook Page, be sure to “Like” the page, and then post one hook and release king salmon photo or video per king released with your name, the anglers name, the date of the catch, the river where it was caught and any pertinent details such as length and girth, method, lure, etc. 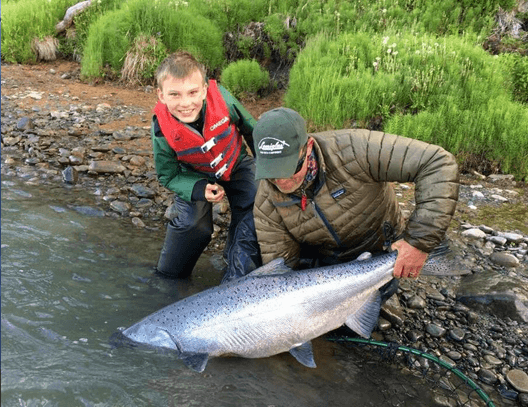 Any ethical king salmon conservation photo or video is welcome to be posted on the Fish For The Future Facebook page, but only photos from the current season will qualify for the Fish For The Future awards program. All King Salmon in photos/videos must be successfully hooked and released on Alaska’s Kenai or Kasilof Rivers during the open season. 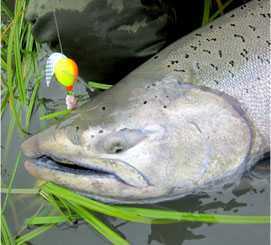 Anglers must comply with all applicable ADF&G regulations and laws at all times. 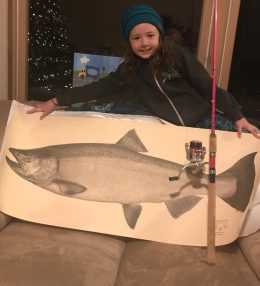 Only photos and videos that display ethical and responsible hook and release techniques that put the welfare of the fish first will be displayed and considered for the Fish For The Future awards program. 1. The demonstration of ethical, responsible and legal C&R techniques. 2. The originality, composition, and overall quality of the photo or video. 3. The number of “likes” and “shares” the photo or video receives. 4. 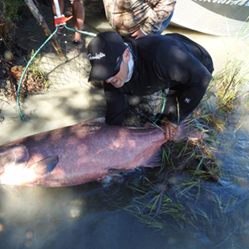 The size and condition of the King Salmon released. 5. The number of votes from the Fish For The Future panel. Winner will receive a free print of their King Salmon from the Catch & Release Print Shop. 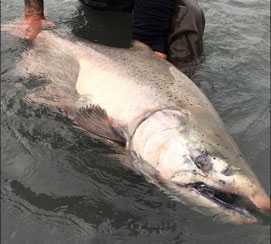 – According to ADF&G data, the in river run estimated by sonar for late run Kenai Kings was 62,740 in 1986 and 27,010 in 2012. – The Principal age class of Kenai River chinook are salmon that spend 3 or 4 years at sea before returning to spawn. 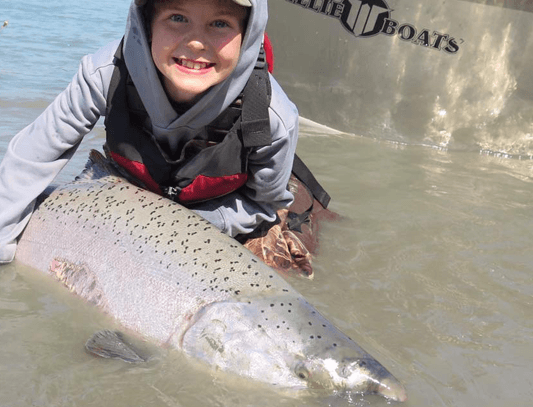 – The giant “5 ocean/7 year old” fish that made the Kenai River famous may presently make up less than 1% of the late run. 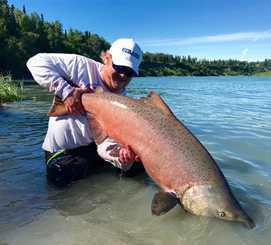 – Eight of the ten largest chinook ever caught on hook and line, including Les Anderson’s 1985 world-record, came from the Kenai River. 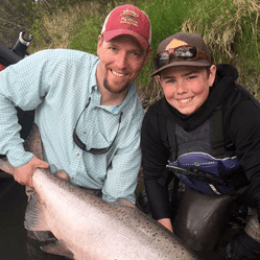 – The early run of Kenai Kings is presently at near historic lows, despite being totally closed to sport fishing for 5 years. 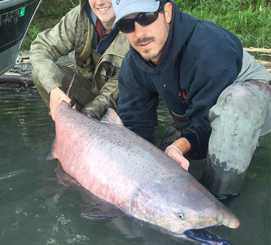 – The early run of Kenai Kings are primarily tributary spawners, while late run Kenai Kings are believed to be main-stream spawners that utilize the lower section of the river. 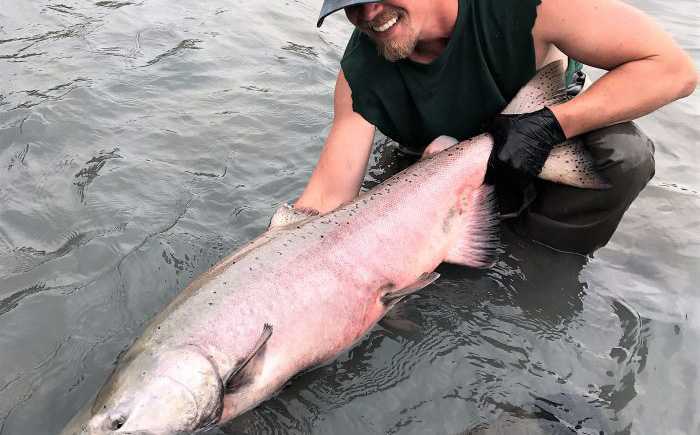 – The Kasilof River late run is comprised of large native chinook, while the May/June early run is made up of smaller hatchery fish and prodigy of hatchery fish that are properly termed “naturally produced” chinook. 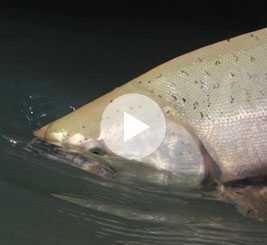 – Voluntary hook and release has helped rebound many struggling fisheries world-wide, including but not limited to steelhead, rainbow trout, Atlantic salmon, snook, permit, tarpon, Murray cod, dusky flathead, Australian bass, and numerous species of billfish. – Realizing the importance of hook and release as an effective conservation practice, Bill Dance and Ray Scott began requiring all B.A.S.S. 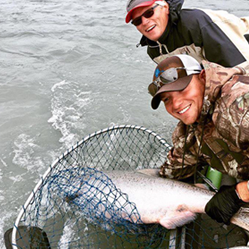 tournament anglers to successfully release their catch as early as 1972. 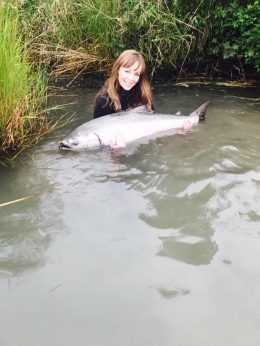 – Wikipedia defines catch and release as: “a conservation practice developed to prevent over-harvest of fish stocks in the face of growing human populations, mounting fishing pressure, increasingly effective fishing tackle and techniques, inadequate fishing regulations & enforcement, and habitat degradation. 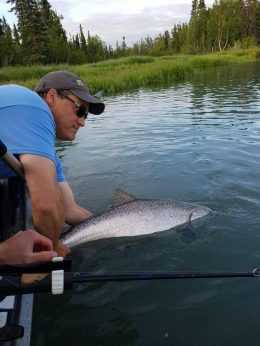 – According to ADF&G’s study, hook and release mortality on Kenai River king salmon is 7% (early run) and 5% (late run). 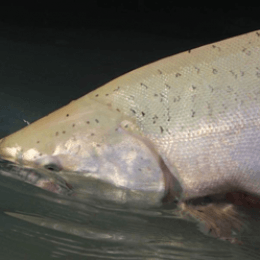 – ADF&G’s hook and release study was conducted with multiple hooks, the use of bait, and nearly 15 minutes of handling time per king salmon to insert a radio tag, all factors that increase mortality. 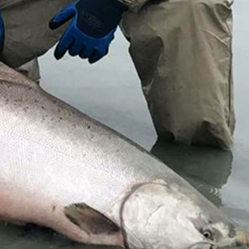 – In ADF&G’s Kenai River hook and release mortality study, the location of the hook, specifically how deep the king took the bait, was determined to be the single-most critical factor whether the released fish survived or not. 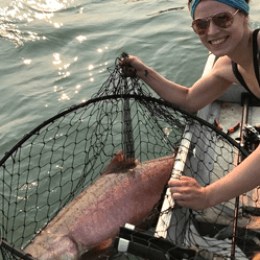 – Hook and release mortality on Kenai kings is likely to be EXTREMELY low (maybe as low as 1%) with present day education and regulations that require single-hook, no bait, and keeping the fish in the water upon release. 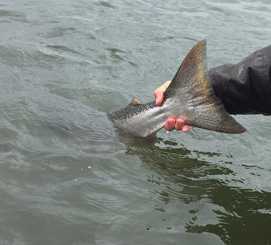 – Wetting your hands prior to handling a fish intended to be released helps to preserve their protective slime and thereby decrease mortality. 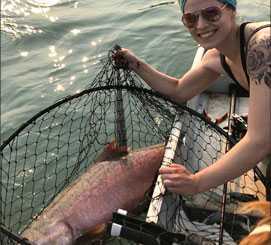 – The term “harvestable surplus” generally refers to the number of fish that can be taken from a resource without negatively affecting the future population size. – “Conservation” is the wise use and management of a resource with the goal of maintaining sustainability for the future. “Preservation” denotes a fortress-like approach to nature, walling off human influence in order to maintain the resource in its exact present condition. Those businesses that were kind enough to donate. 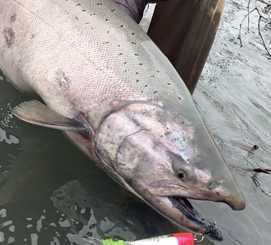 their dedication to King Salmon Conservation is greatly appreciated! To contact or connect with us, please visit our Facebook page, we would love to hear from you!